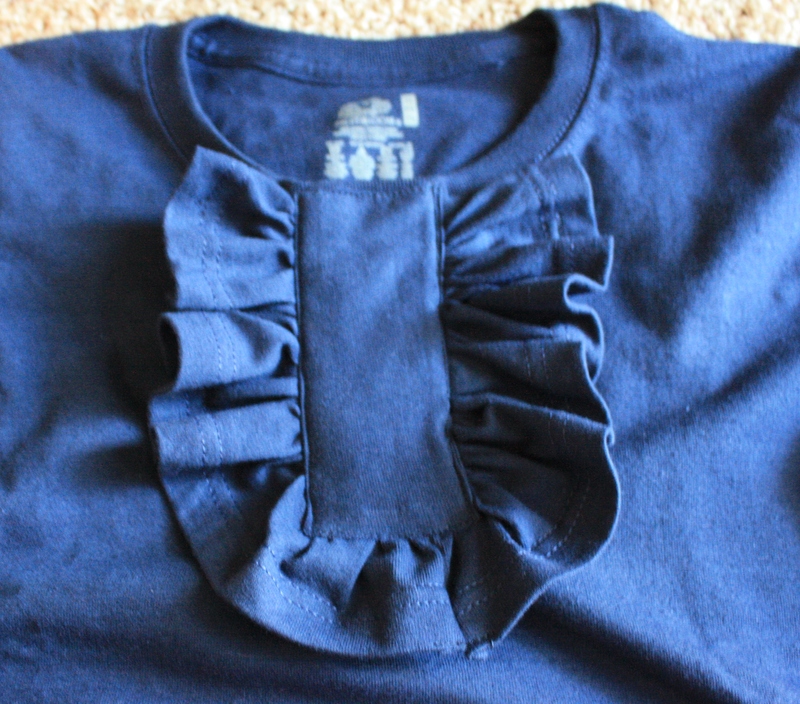 Step 1: if using your scraps from a t-shirt, use the hem of the shirt to make your ruffle – if in two pieces, sew them together. 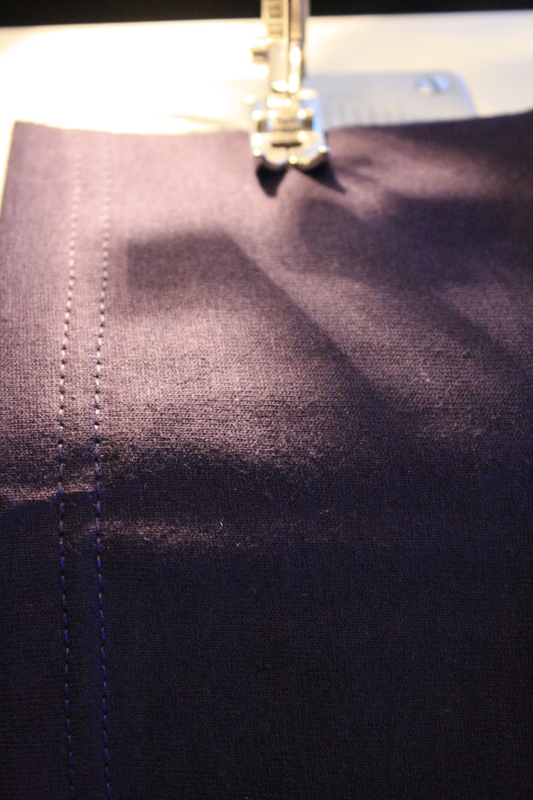 If using another piece of fabric, fold in half a rectangle so that there is only one raw edge, or hem one side of the fabric. 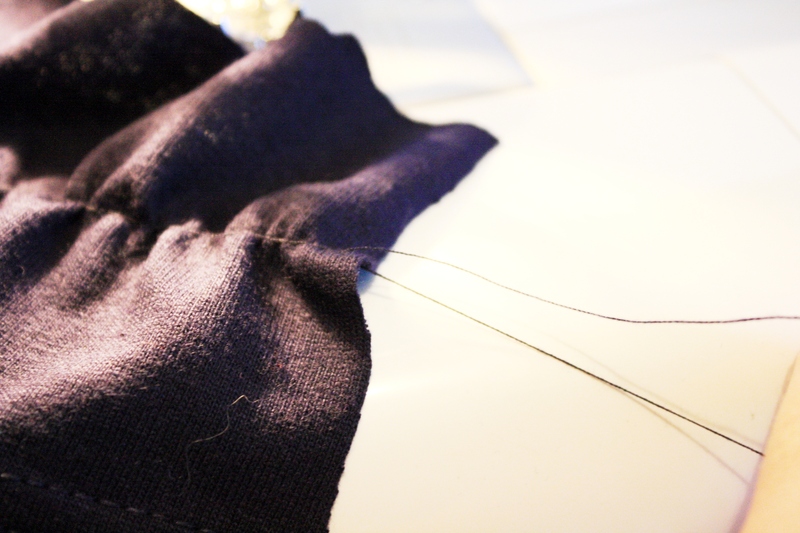 Step 2: Prepare your machine to baste: (change your stitch length to 4). 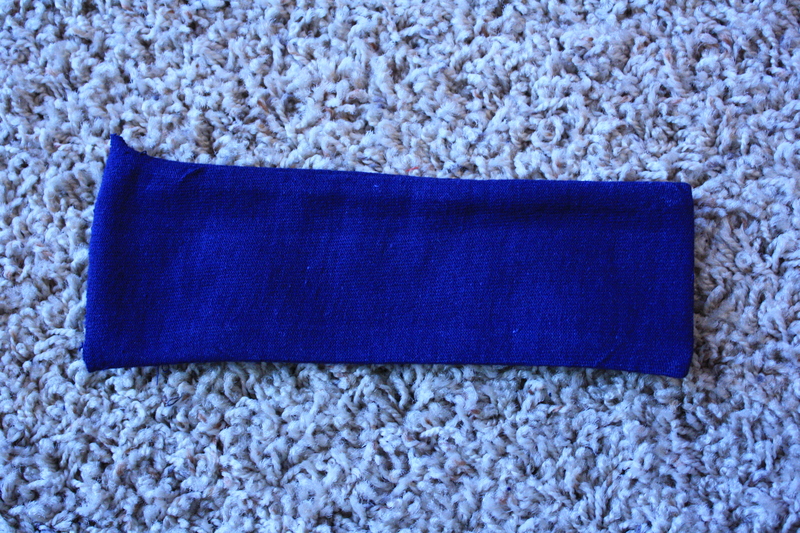 Step 3: sew a straight down the strip of fabric. Step 4: Seperate the top thread from the bottom thread. 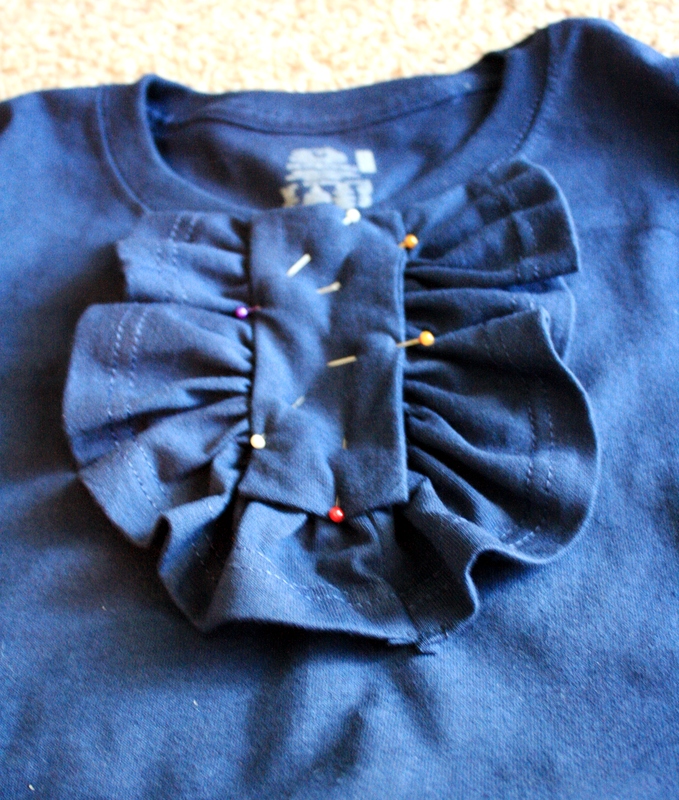 Step 6: Place ruffle around on your shirt and center. 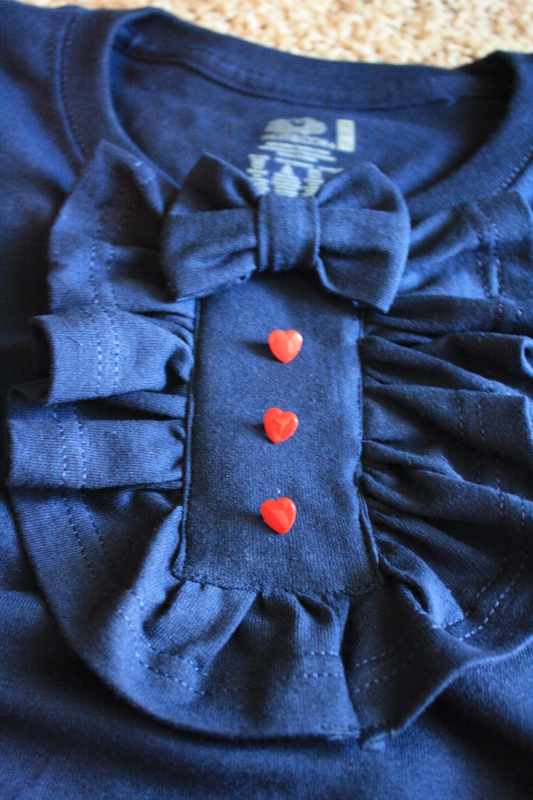 Step 9 – Sew closely along the edges of the rectangle, tucking in the raw edges of the rectangle and the ruffle. 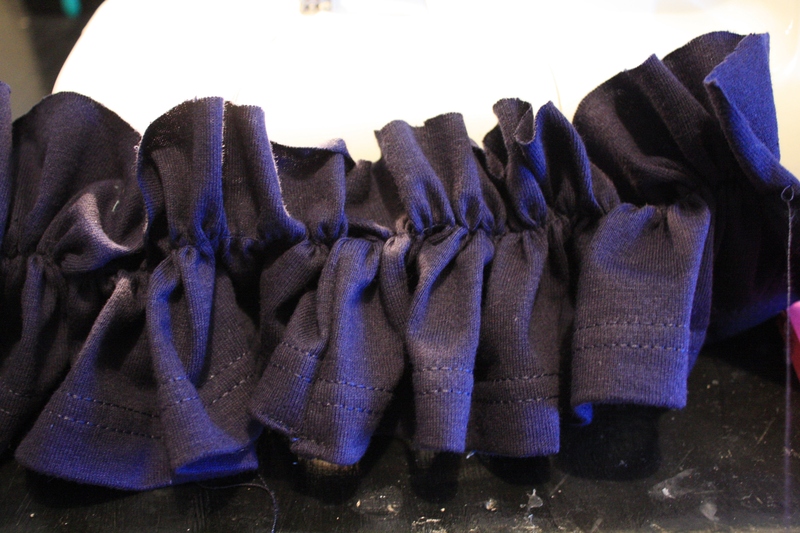 Step 10 – Add buttons and bows and you are done! You can learn how to make a bow HERE. 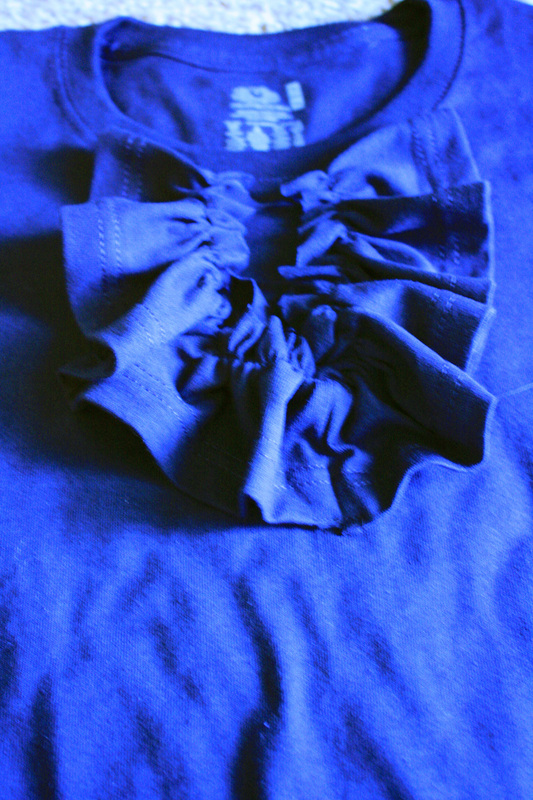 Refashioned shirt with ruffle bib complete! So cute! This is absolute genius! Thanks! 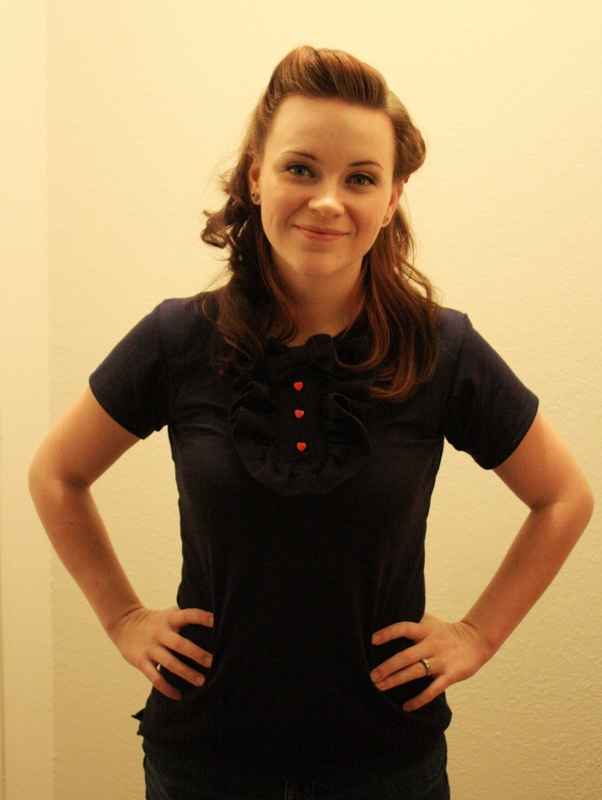 After this shirt was so easy, I’m gathering more shirts that I can refashion!